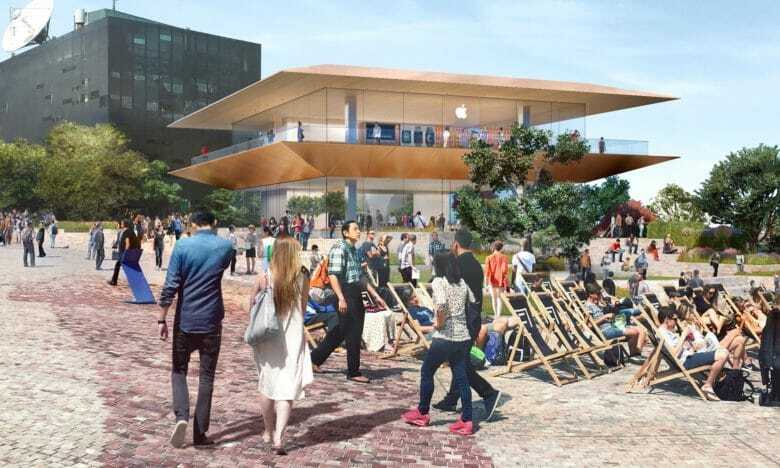 Will Apple’s proposed flagship Apple Store in Melbourne, Australia’s Federation Square ever happen? Increasingly, the answer appears to be in doubt — although we hope that changes. This time, there are a few criticisms being leveled at Apple. For one thing, it hopes to knock down an existing building to build its new venue. However, the city council’s chair of planning, Nicholas Reece, said he would have preferred that Apple remodel the present Yarra building, rather than replace it. The council says that Apple’s current proposed designs do represent an improvement on the “eyesore” it came up with last year, but adds that it still poses “significant” problems. In fact, one of these could be that it is too eye-catching, and that it might therefore “visually compete” with other civic landmarks in the area. Oh, and it offers “no supporting food and beverage offer to enliven adjacent spaces around the edge of the square,” either! Councillors will vote this week on whether or to go along with Apple’s plan. Ultimately, it will be decided on by Planning Minister Richard Wynne. The Federation Square Apple Store hasn’t had an easy ride so far. A big criticism has been that it is set in a square that was originally intended for public events, ranging from cultural performances to public protests. Earlier this year, one attempt to block construction of the store failed in Australian parliament. But Apple has already shown some willingness to relent to pressure, such as by scrapping its original store designs, boasting an elaborate pagoda-style roof. Last month, we noted how the site has been afforded a new heritage protection order that will let the government deliberate on whether to permanently protect the site. This order, which runs through late 2018, stops any work being carried out before the matter is settled. For local Apple fans, the risk is that Apple will see the whole kerfuffle as more trouble than its worth. While Apple is used to fighting off criticisms, it doesn’t always hang around indefinitely when plans get dragged out. In May this year, Apple ditched plans to build an 850 million euro ($960 million) data center in Ireland after a series of delays caused by complaints.